Is that a torch in your pocket or are you just happy to see me? But seriously folks, the Pocket Torch Triple Flame Lighter by Jetline Black is no joke. Equipped with strong triple flames for the toastin' and torchin', this handy and affordable fire-source even has a clear body so you always know when it's time for a refill. Don't leave home without it. This thing was junk. Worked for about 2 days. I have had these before and they never last. Never again. Love this lighter, small and great on the boat out in wind. A great lighter for the money. I bought two. One for my golf bag and one for my den. Decent lighter, good flame, large fuel tank. 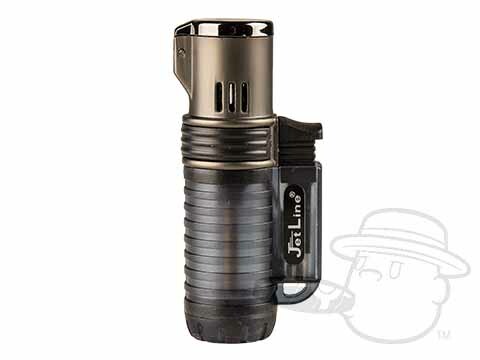 Pocket Torch Triple Flame Lighter By Jetline Black is rated 4 out of 5 based on 16 customer ratings.